The hydrocarbon exploration and exploitation activities in the Republic of Cyprus are governed by the Hydrocarbon (Prospection, Exploration and Exploitation) Law of 2007 (No.4(I)/2007) and the Hydrocarbon (Prospection, Exploration and Exploitation) Regulations of 2007 and 2009 (No.51/2007 and No.113/2009). The legal framework of this law sets up the rules for the procedure granting authorization for the prospection exploration and production of hydrocarbon and applies to the territorial waters, the continental shelf and the Exclusive Economic Zone of the Republic of Cyprus. Moreover the hydrocarbon activities are subject to general Cypriot laws and regulations on environmental protection, health and safety. The competent authorities responsible for granting licenses for prospection, exploration and exploitation of hydrocarbons in accordance to the Hydrocarbon (Prospection, Exploration and Exploitation) Law in Cyprus, is the Council of Ministers. (b) by invitations notified for the submission of applications by the Minister, with the approval of the Council of Ministers, that will be published in the Official Gazette of the Republic and/or the Official Journal of the European Union, following submission of an application by an entity. Any other interested entities shall have a period of at least 90 days after the date of publication to submit their applications. Moreover for the purposes of this Law an Advisory Committee is established for examining the content of the applications submitted pursuant to this Law, evaluating the applications for granting authorizations to prospect, exploring and exploiting hydrocarbons, as well as to evaluating any matters that arise in relation to the applications or which are laid before the examination and to advise the Minister on any matter arising in the implementation of the provisions of this Law. (g) The Director of the Energy Service or a representative thereof. The entity that submits an application for obtaining an authorization to explore hydrocarbons shall include in its application a brief note stating the activities of exploring hydrocarbons and the effects which those activities are likely to have on the environment and ways of their effective handling. Moreover subject to the provisions of this Law an entity that submits an application for obtaining an authorization to exploit hydrocarbons is bound to comply with the provisions of the Assessment of the Effects of Certain Projects on the Environment Law. Notwithstanding the provisions of the Assessment of the Effects of Certain Projects on the Environment Law, the applications, reports and other documents whose submission are provided in the said Law, shall be submitted to the Minister when they refer to projects falling within the provisions of this Law, and the Minister shall forward them in due course to the town planning or environmental authority, as the case may be. In case where two or more applicants that are evaluated in accordance with the aforementioned criteria of subsection have equal merit, then the Council of Ministers may adopt additional relevant criteria in order to decide to which entity the authorization shall be granted. These additional criteria shall be published in the Official Gazette of the Republic and the Official Journal of the European Union. Without prejudice to the aforesaid the Council of Ministers shall apply the above-mentioned criteria in a non-discriminatory manner between applicants. Moreover in case an application is accepted the authorization for the prospection of hydrocarbons shall grant to the holder the right to prospect for hydrocarbons in the authorized area under the conditions and requirements of granted license. Additionally the authorization for the exploration of hydrocarbons shall grant to the holder exclusive rights to explore for hydrocarbons in the authorized area and in case where the holder discovers commercial hydrocarbons the authorized license shall grant to the holder the exclusive rights to exploit such discovery according to the provisions of this Law and Regulations. Lastly the authorization for the exploitation of hydrocarbons shall grant to the holder exclusive rights to exploit hydrocarbons in the authorized area under the conditions and requirements of the authorization granted. Furthermore the validity of the duration of an authorization shall not exceed the period necessary to complete the activities specified in the authorization. The Council of Ministers shall renew or extend the authorization for such a time period as provided in the Contract between the Government of the Republic and the holder of an authorization and in accordance with the conditions of the authorization. Furthermore the purchase of natural gas in the Republic of Cyprus is governed by the Regulating the Purchase of natural gas Law of 2004 (No. 183(I)/2004) and the Regulating the Purchase of Natural regulations 2006 (No. 298/2006, No. 297/2006 and No. 299/2006). The legal framework of this law establishes the rules for the transmission, distribution, supply and storage of natural gas. It lays down the rules relating to the organization and functioning of the natural gas sector, access to the Cypriot market, the criteria and procedures applicable to the granting of authorizations for transmission, distribution, supply and storage of natural gas and the operation of systems. As regards to the competent authorities responsible for the natural gas, the Cyprus Energy Regulatory authority is responsible for the authorization (e.g. licence, permission, concession, consent or approval) which is required for the construction or operation of natural gas facilities. In addition to the framework of the implementation of the decisions of the Council of Ministers, a new independent private entity, the Public Gas Corporation (DEFA), was founded in November 2007. The purpose of DEFA, according to its Constitution, is to purchase, import, acquire, possess, use, exploit, store, transfer, provide, distribute, sell, supply and trade natural gas, to make use of the natural gas terminal, to regasify liquefied natural gas, as well as manage the distribution and supply network of natural gas and carry out any other work consistent with the above. In addition, as Cyprus is a full member state of the European Union the European Union Directive on the conditions for granting and using authorizations for the prospection, exploration and production of hydrocarbons (Directive 94/22/EC), Directive 2003/55/EC concerning common rules for the internal market in natural gas and other relevant EU legislation applies to oil and gas activities offshore Cyprus. In 1985-1987 Soviet Academy of Scientists issued results of a study providing for moderate potential for Hydrocarbons offshore and in the shallow waters of Cyprus. 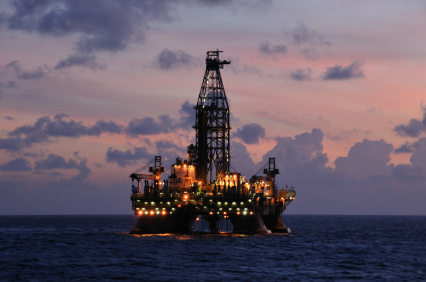 On 28/12/2011 Noble Energy announced the results of exploration confirming reserves of 5 – 8 trillion cubic feet of Gas in sea plot 12. The second round of Licensing for hydrocarbon exploration and exploitation in Cyprus waters is will commence on the 13th of February 2012. It will be through a European tender procedure and will include 12 sea plots adjacent to the Aphrodite plot. One of the criteria would be national interest, which undoubtedly connects the tender procedure and decision with the political issues between Cyprus and Turkey.